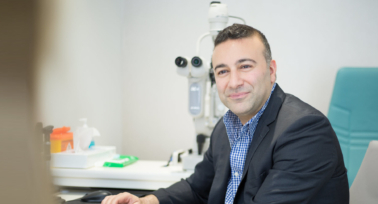 Laser eye surgeon, Allon Barsam, has a world recognised reputation for personalised vision correction by combining state of the art technology with superb technical microsurgical skills. Allon recognises that each patient deserves both precision and personalisation of their visual needs. He features on every independent patient and peer reviewed list of the UK’s top laser eye surgeons and cataract surgeons. Allon Barsam MA (Hons) Cantab MB BS FRCOphth Examiner Cert LRS is a director and founding partner of Ophthalmic Consultants of London. He specialises in laser eye surgery, lens based vision correction surgery and cataract surgery with premium lenses. He is passionate about providing enhanced vision for many people whose livelihoods and wellbeing are dependent on sight. His laser eye surgery patients include elite military personnel including naval aviators (fighter pilots), commercial pilots and world-class professional athletes. In addition, Allon has treated hundreds of doctors, optometrists, consultant eye surgeons and members of their families. Allon was trained in several international centres of excellence. He graduated from the University of Cambridge and University College London Medical Schools with honours and a distinction in surgery. His residency training was at Moorfields Eye Hospital in London, followed by a fellowship in New York, where he worked closely with two of the founding fathers of modern cornea, cataract and laser vision correction surgery. Allon then completed an additional cornea, cataract and refractive surgery fellowship at the Western Eye Hospital in London. Allon Barsam is the lead consultant and fellowship director for corneal transplantation and complex anterior segment surgery at the Luton & Dunstable University Hospital NHS Foundation Trust, UCL Partners. This tertiary centre of excellence was founded and set up by Allon, for which he has received several excellence awards. Allon specialises in personalised laser and lens vision correction. He will work with you to carefully customise the best treatment plan for your individual visual needs. Allon is a sought-after, expert opinion-leader for the laser-eye surgery and cataract surgery industry, frequently advising on how to improve and perfect safety with existing and emerging advanced technology. 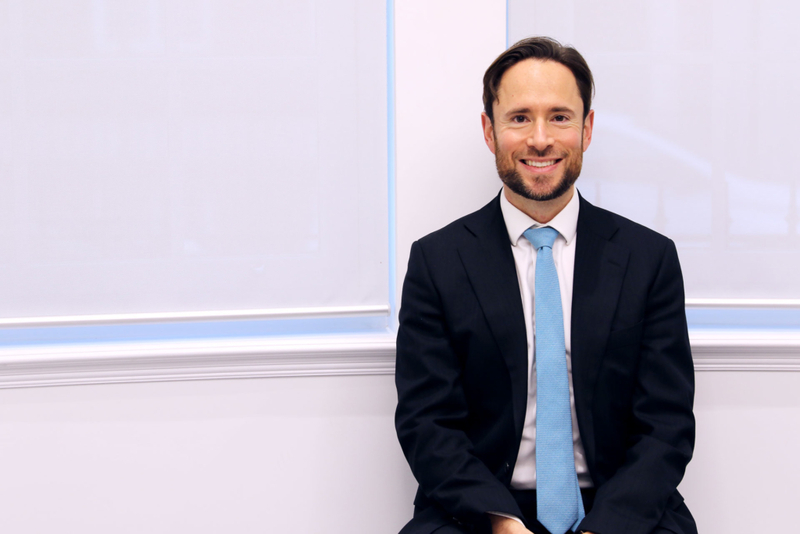 In 2018, Allon Barsam was selected to join the CertLRS Examinations Subcommittee of the Royal College of Ophthalmologists, working with the college to safeguard national standards in laser refractive surgery. He is an editorial board member and section editor of Cataract and Refractive Surgery Today Europe. Allon is currently completing his Doctoral thesis at the University of Cambridge on Keratoconus and safety in laser vision correction. Allon is regularly invited to speak, chair and moderate at national and international speciality meetings and conferences. He is actively involved in teaching other surgeons the latest techniques. 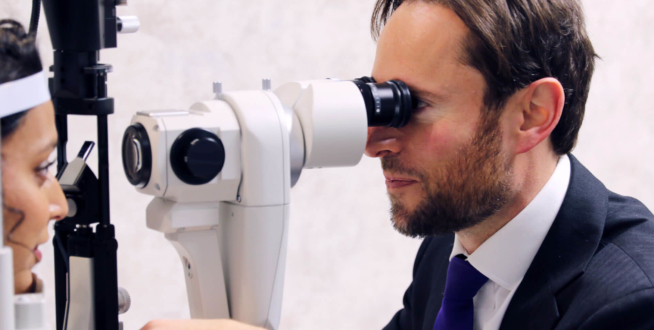 Allon is a member of the Royal College of Ophthalmologists’ prestigious Microsurgical Skills Teaching Faculty. He has been the lead instructor for a video-based instructional course in refractive anterior segment surgery at both the American and European Societies of Cataract and Refractive Surgery. Mr Barsam is a member of the Council for the Royal Society of Medicine, Ophthalmology section. It’s essential for Allon Barsam to offer his patients the most effective, safe and very latest technology. Allon highly values innovation and he is meticulous with researching, critical analysis of and thorough evidence base for best practice before he implements new techniques or treatments. Allon Barsam is a surgical innovator and therefore works closely with industry to continually refine and advance existing techniques. Some of Allon’s achievements are recognised on his Wikipedia page. Publishing the largest and most significant review on treatment options (LASIK vs. Phakic intraocular lenses) for people with moderate to high myopia (near/short sightedness). Publishing a randomised controlled trial looking at the safety of two different techniques of cataract surgery. Publishing new ways of carrying out advanced surface ablation (PRK/LASEK/epi-LASEK) treatment options. Allon Barsam has carried out several charitable missions abroad to help the poor who do not have access to modern eye surgery. Most recently he was part of a team of surgeons carrying out cataract surgery in Cambodia in 2017. Allon Barsam has published over 40 peer-reviewed scientific papers, 14 book chapters and he is the co-author of a comprehensive textbook of Ophthalmology, which is now in its second edition. Rosenheim Prize in Cardiovascular Medicine, awarded for elective project. Distinction in Surgery, Clinical Finals, MB BS Examinations. Certificate of Merit in Surgery, Clinical Finals, MB BS Examinations. Alcon Prize for Best Overall Poster, UK and Ireland Society of Cataract and Refractive Surgeons (UKISCRS) Annual Congress. Ethicon Foundation Fund, for cornea, external eye disease and refractive surgery fellowship , New York, USA. Special Trustees of Moorfields Research Grant, for national study on acute corneal hydrops secondary to keratoconus. 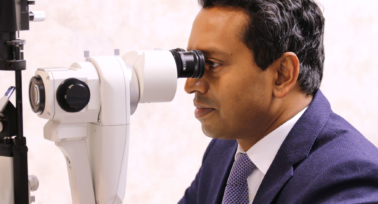 The first British Ophthalmologist in the world to use laser vision correction technology for cataract surgery with the use of intraoperative aberrometry to refine visual outcomes. The first British Ophthalmologist and one of the first ten surgeons in the world to carry out laser cataract surgery. Allon Barsam features in the media across multiple platforms regularly for his expertise in laser and lens vision correction surgery including, BBC News, The Times, The Telegraph, The Daily Mail, Reuters and the Discovery Channel. Allon Barsam appeared in a feature on BBC News performing advance laser eye surgery on a patient suffering from a rare eye condition called Reis-Bucklers syndrome, which made everyday activities nearly impossible. The pioneering laser surgery was completed to remove scarring on the cornea which caused blindness, and the report follows the patient on her journey through recovery which will fully restore her sight.